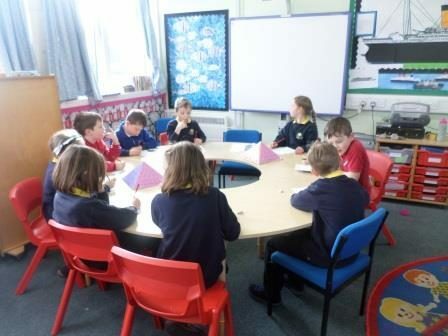 At the beginning of October the junior Learning Centre enterprise class held a charity fund raising event for The Rainbow Trust, an organisation that provides support for children, and their families, with life threatening conditions. The pupils had researched several charities and came up with many fund raising activities before finally deciding on their ‘Quiz and a Cookie’ event. 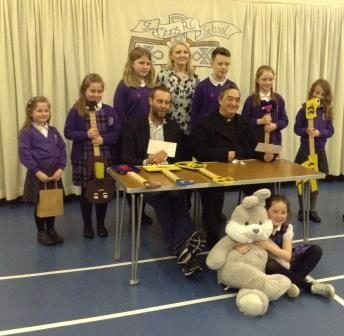 The pupils of St Mun’s Primary School have been busy, throughout the Lenten period. Each class was challenged to organise and run an event to help raise money for two important charities: SCIAF and Multiple Sclerosis. 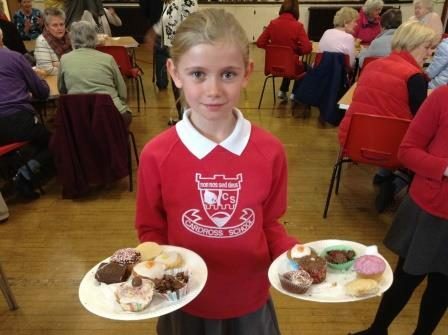 Throughout March, a variety of activities took place: a Bring ‘n’ Buy sale, raffle, Easter Egg hunt, guess the name of the bunny competition, paper airplane race and a Coffee Morning to which parents and parishioners of Our Lady and St Mun’s Church were invited. 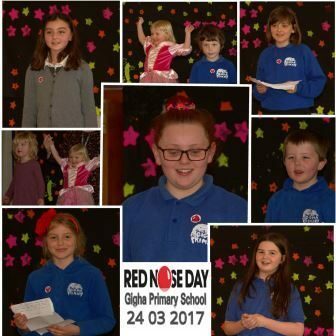 Castlehill have been busy all week raising funds for Comic Relief. 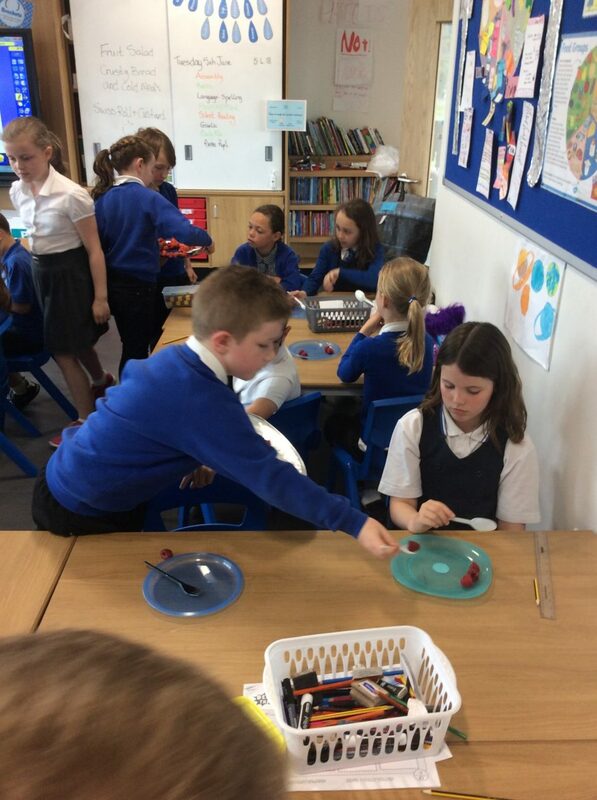 P5, 6 & 7 were baking and this was enjoyed by all. Thursday saw a bring and buy sale along with non uniform and various stalls. 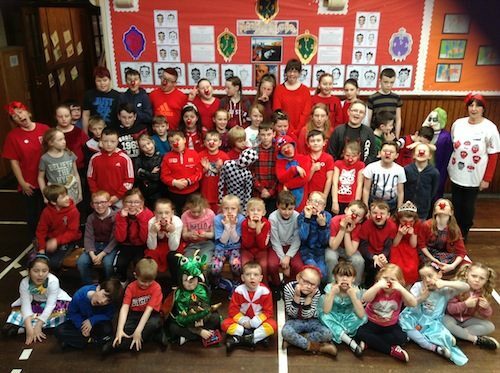 The week ended on a high on Friday when the whole school completed the Daily Mile displaying something red. For many the red was their faces at the end of it! A grand total of £760 was raised. 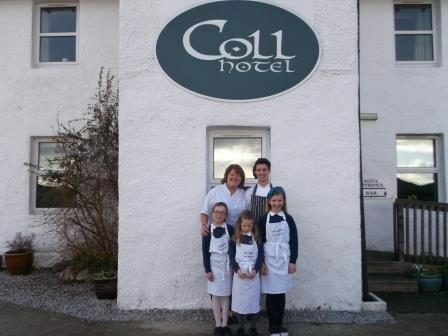 Arinagour Primary Schools P4, P6 and P7 pupils enjoyed four trips to the Coll Hotel to participate in Junior Chef training sessions. 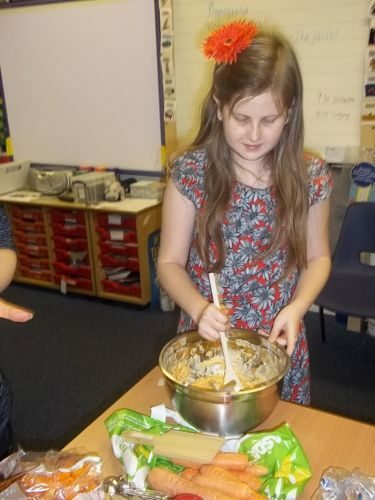 With the guidance of owner and chef Julie Oliphant, chef Graham Griffiths and hotel manager Laura Oliphant the pupils developed skills in food preparation. They identified ingredients, units of measure and equipment used in the cooking process. 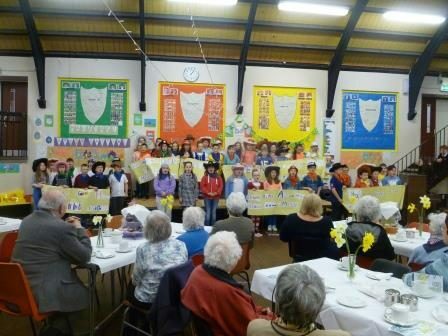 P1 and P2 pupils joined the senior pupils as guests to sample the meals that had been prepared. 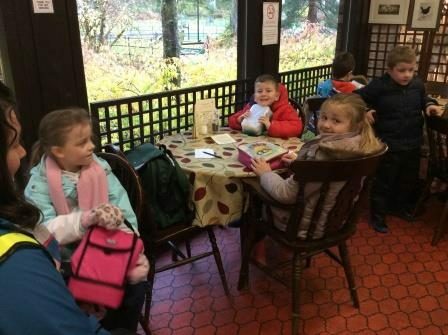 As part of our Food for Thought topic Primary 4/3 from Kirn Primary visited Benmore Cafe with Miss Campbell. We were allowed to go behind the counter and into the kitchens to see where all the delicious food is prepared. Then we sat in the cafe, looked at the menus and had our lunch. The lovely people at the Cafe gave us some tasters to experiment with different flavours. This month, the ‘Tasty Tuck Team’, aka Dalintober Primary’s Pupil Council members, launched their annual initiative to encourage pupils to bring in healthy snacks for playtimes. They sold some tasty morsels – fruit, pitta breads and crackers – as suggestions and these ‘tasters’ went down a treat with their fellow pupils. 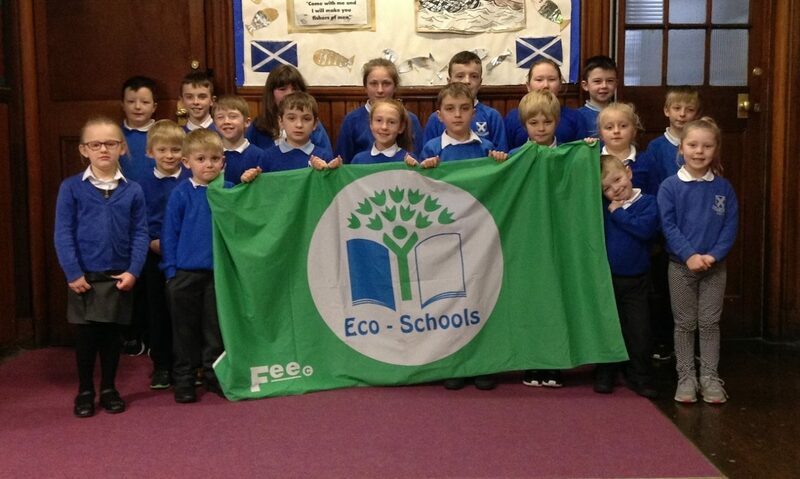 Following the current project’s run; they hope that parents and pupils will continue to promote the healthy eating message. 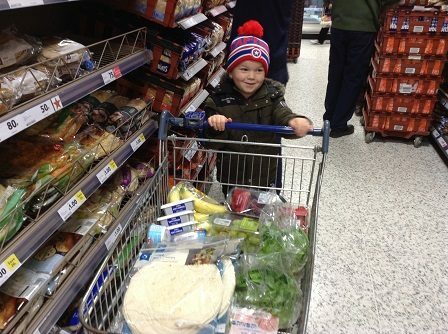 The ‘Tasty Tuck Team’ would like to thank Miss Flaws, Miss McCallum, Mr Strang and the staff of Tesco Campbeltown for their help. To mark the end of their World War 1 and 2 studies Primary 7 pupils celebrated in style with a 1945 inspired Tea Dance. As well as baking delicious ‘Anzac’ biscuits the pupils delved into their ration books and had sufficient coupons to make ‘carrot cookies’. Throughout the term the children have been learning how to jive and completed the day by sharing their newly acquired dance skills with their parents. 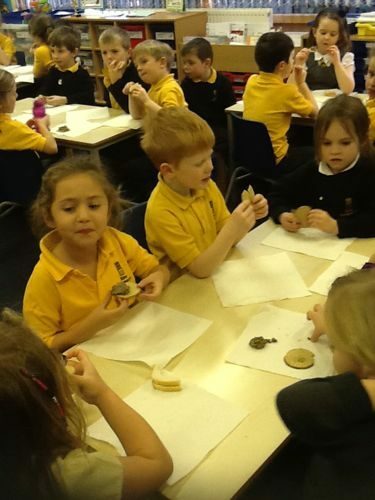 Primary 1 & 2 pupils along with their teachers, enjoyed an afternoon of Scottish food tasting. They learned about the history of the dishes before trying them and discussed what they liked or disliked. The menu was: a piece and jam, haggis and an oatcake, followed by a piece of shortbread. 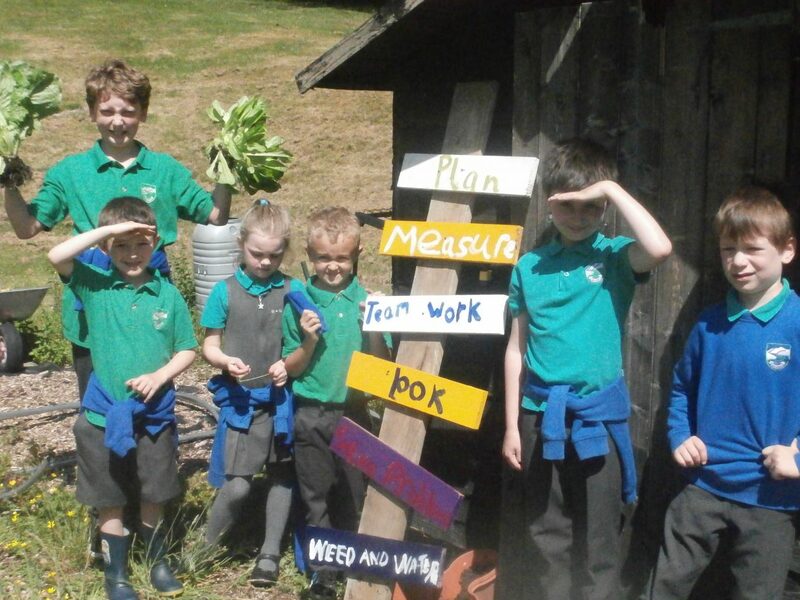 Last term Primary 6 in Cardross were thinking a lot about how they could help the local community and town during Harvest time. Everyday they collected tins and packets of food from the whole school for the Food Bank in Helensburgh, they were overwhelmed by everyone’s kind generosity.Primary 6 were also the hosts for the Senior Citizen Harvest tea and this year we decided to create ‘ Super Soup’ parcels for them to take home and enjoy. 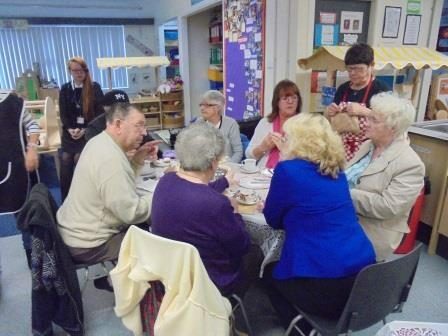 The staff of St. Joseph’s Primary and Family Learning Centre has been working with Kirkmichael Community Development Group over the last few months to get a new ‘Meet and Eat’ programme for the elderly in the local community developed at St. Joseph’s Family Learning Centre. Wednesday 12 October, 2016 saw the launch of this excellent new initiative with the helpers of the Community Development Group bringing in the required food and setting up beautifully presented tables for the elderly to come along and enjoy some sandwiches, baking and a blether.